Dr. Rolando H. Saenz, MD, is a dual board-certified general and colorectal surgeon. 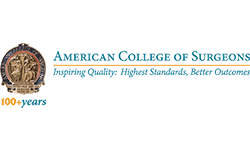 He offers a variety of surgical services to patients of Downtown San Antonio and nearby areas in Texas at his practice, San Lucas Surgical Associates. 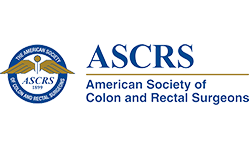 As one of the leading general and colorectal surgeons in San Antonio, he understands the unique needs of each patient and attends to them in a caring and compassionate manner. Dr. Saenz completed his medical degree at the University of Texas Health Science Center in San Antonio, Texas. He then spent two years as a surgical resident at the Chicago Medical School in North Chicago, Illinois. His passion for specialized care led him to open this forward-thinking private practice in San Antonio, Texas. Dr. Saenz has operated on thousands of patients during his three decades of general and colorectal surgical practice, with excellent results. He is equipped to perform the latest cutting-edge surgical procedures and is particularly adept at colon cancer surgery. Dr. Saenz believes in educating patients about their disease and encourages them to follow a healthy lifestyle as they heal. He ensures his patients feel comfortable by helping them understand the disease and how surgical intervention will work. 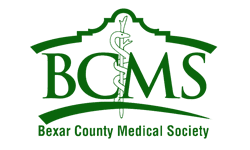 He is an active member of the San Antonio medical community and is affiliated with the Baptist Health System, Nix Health, Methodist Specialty and Transplant Hospital, Methodist Hospital, Northeast Methodist Hospital, and the Metropolitan Methodist Hospital. He was born and raised in San Antonio, and his equal fluency in English and Spanish allows him to treat patients from a diverse cultural background. To schedule an appointment with Dr. Saenz, call San Lucas Surgical Associates today. "Excellent doctor. I would highly recommend Dr. Saenz. He came by everyday to see me while I was in the hospital to see how I was feeling." "Dr. Saenz took excellent care of my medical needs. He was always there for appointments [...] and was at the the hospital everyday I was there." "Dr. Saenz and his staff are great! Haven't had one on one care with a physician like Dr. Saenz. He is very kind and explains everything in great detail." "I had surgery with Dr. Saenz in 2016. I couldn't have asked for a more wonderful, compassionate doctor. I'd recommend him highly." "I've had several surgeries with Dr Saenz[...]. Not only is he a skilled surgeon, he is compassionate, personable, and takes his time to make you understand."